Stetson University’s Roland George Investments Program (RGIP) recently launched a new stock index—the first of its kind — focusing on ESG (environmental, social and governance), during the semi-annual public trustee meeting. Five Stetson University RGIP seniors spent months researching, vetting, analyzing and, ultimately, pitching six stocks to a board of faculty and student trustees. Those six are the ESG index, which includes three publicly traded single stocks, HFDC Bank, Movie Pass and Planet Fitness stocks. In addition, recognizing the buzz and corresponding confusion surrounding the topic of Bitcoin, RGIP students Zachary Gunn and Pat Medico began the evening by providing an educational community service presentation on the history of Bitcoin as well as the pros and cons associated with its investment. 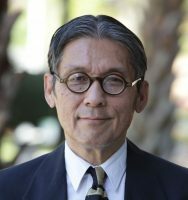 This discussion of Bitcoin can be found on Stetson Today as well as in the video of this event livestreamed by Stetson Broadcast Productions. Stetson University student Gabriel Silveira described the dire need for developing countries to have clean water and healthcare in his pitch for the ESG index. As the first index of its kind, the intent, according to Silveira, is to make money and do good at the same time. ESG stands for environmentally responsible, socially responsible and corporate governance comprising three stocks that include (E-Stock) Xylem, a water filtration company that embraces a “Lets Solve Water” initiative; (S-Stock) Pfizer, the world’s largest research-based pharmaceutical firm that has one of the most robust vaccine programs for third world disease eradication; and (G-Stock) Etsy, an e-commerce service with predominantly female sellers. The board voted 5-1 to invest $100,000 from the RGIP Growth Fund to purchase 436 shares of Xylem and 942 shares of Pfizer. The board rejected purchasing shares of Etsy. “The stocks in the ESG Index represent a unique group of stocks which are known to serve public good as well as deliver superior performance to their shareholders.” said K.C. Ma, Ph.D., C.F.A., Director of Stetson’s George Investments Institute and the Roland and Sarah George Chair of Applied Investments for RGIP. In addition to the Bitcoin discussion, Gunn made a solid case for investing in HFDC Bank, an Indian bank that is the largest private sector lender by assets, and the largest private bank based on market capitalization. The board agreed and voted 5-2 to purchase 1,000 shares. Matthew Babikow presented a stock based on what he called a “cultural change,” referring to the fitness and health craze that he believes is here to stay. “Planet Fitness is the only investable company that captures this change in the health and fitness industry,” Babikow explained. “This company is extremely resistant to the threat of e-commerce and it is one of the few franchise companies that has an advantage as a brick-and-mortar store.” He asked the board to invest $100,000 from the RGIP Growth Fund and with a vote of 6-1 the investment in 2,700 shares of Planet Fitness stock was approved. Stetson student Matthew Sweeney asked the board to invest in MoviePass (HMNY), a company that is “revitalizing the movie industry by driving us back to theaters.” However, with a vote of 6-1, the board rejected the purchase of this stock. In total, $300,000 was approved from the RGIP Growth Fund for investment in four stocks. The new ESG Index joins the Cannabis, Drones9, Virtual Reality 4 and the Cloud 4 indices successfully launched in previous years by RGIP students. The stocks in those indices have outperformed the market by 35 percent for the past five years with the Cannabis Index doubling after its launch last year. The consistently high performance further solidifies the RGIP performance record. 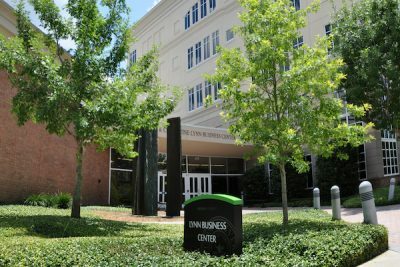 Stetson’s School of Business Administration is located in the Lynn Business Center on the DeLand campus. The Stetson University School of Business Administration’s RGIP is known for having one of the nation’s oldest and best market performances, and is directed entirely by Stetson University students. The pioneering program empowers top students majoring in finance and business to manage a real portfolio comprising $3.5 million in stocks and bonds. Using fundamental research tools and data services such as Bloomberg, Reuters, Morningstar and Baseline they find and defend investment recommendations to the investments committee. Since 2001, based on the actual portfolio performances, RGIP students have won 16 championships and six second-place wins in the national R.I.S.E. (Redefining Investment Strategy Education) and G.A.M.E. (Global Asset Management Education) competitions. Personal investors who want information on the index or the individual stocks can contact Ma directly at kcma@stetson.edu or 386-822-7496. Disclaimer: The Roland George Investments Program, and students affiliated with the program, are not Registered Investment Advisors. As a result, any information contained herein or presented at an RGIP event should not be construed as investment advice.